A news item this week occurred at the Niagara River Gorge where a mid-twenties woman slipped on the rocks, fell into the gorge waters and remains missing. The gorge has 24 kilometres of hiking and walking tracks running along or near the gorge. It is very popular with sports enthusiasts. The waters of the rapids are rated class 6 - which is very dangerous. We mostly think of the Whirlpool Rapids, but there are 4 more sections - the Upper Great Gorge, Lower Great Gorge, Old Narrow Gorge and Lewiston Branch Gorge. The one closes to the falls is the Upper Great Gorge. It is the right-angled turn in the river's course that makes the deep counter-clockwise spin that we call the Niagara Whirlpool. The water has a maximum depth of 125 feet. There is a rescue team for the gorge - the High Angle River Team. There eight members in the team and they are also prepared to rescue people from the aero car should it ever break down - the aero car has a perfect safety record for its many years of operation. They regularly rescue people on the hiking trails in the gorge. The most common scenarios seem to be when people go off the trails and fall down the rocky cliffs. There were more than 150 calls along the river last year. 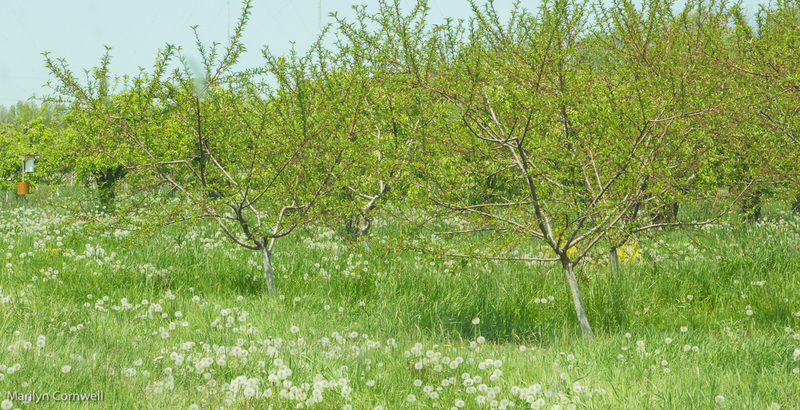 Our Niagara Orchard story this week is the greening of the trees and the dandelion seeding. All the seeds have blown off now in the winds. 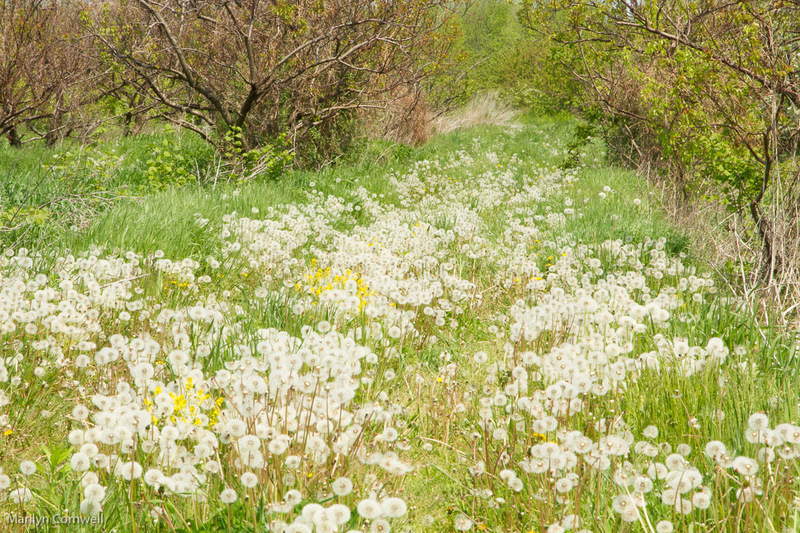 What a sight, though, fluffy white all down the orchard rows.